Effects: sedative, antiseptic, reduces sebaceous and sweat gland secretions, shrinks the pores, antiparasitic, antifungal, appetite stimulant. Benefits: The bergamot essential oil is used in aromatherapy mainly because of its antiseptic qualities. Its citrus scent has an energizing effect, perfect for air freshening. It improves emotional balance and self-control. It is helpful for many skin problems, especially for hyper function of sebaceous glands. It has a deodorizing effect. 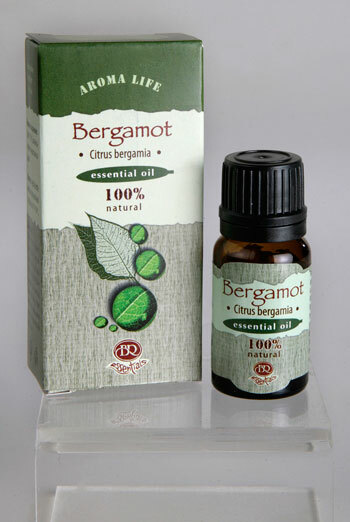 Bergamot essential oil is a significant supplement to every cosy home. Blends well with other citrus essential oils, rose, geranium, clary sage and neroli. Attention: Contraindicated in hypertension and children. Phototoxic!